Home/Company Info/Blog/What Would You Tell Yourself? Sharing what she would have told herself about the disease before she was diagnosed, Claudia recently wrote the following post as an open letter to herself about breast cancer. By sharing your learnings, you can help anyone else who might be going through a similar experience. She encourages all patient influencers, across all disease states, to write an open letter to themselves. Knowing what you know now . 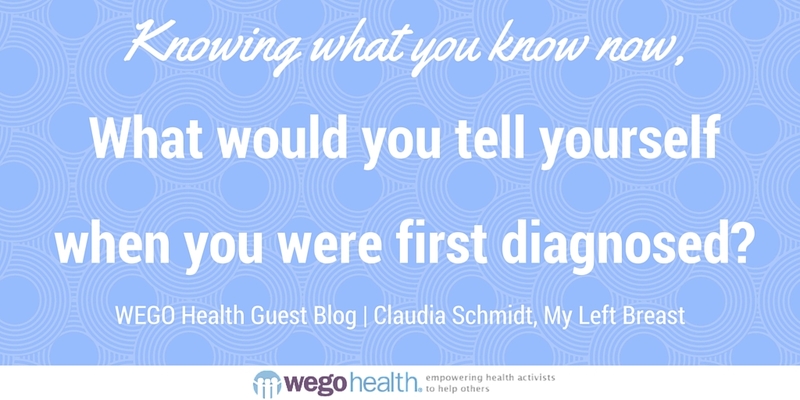 . .
What would you tell yourself when you were first diagnosed? This is Claudia’s open letter. It is now a full 6 years since my diagnosis and subsequent treatment for breast cancer and I no longer feel a burning need to write about that time of my life. The fact that I’m 6 years out has somewhat released me. I don’t feel as strong a connection to breast cancer anymore and in fact am anxious to move on and away from it; to stop thinking about the past and focus on my future. But, I was recently requested to write an open letter to myself about breast cancer, by Cure Forward. The mission of Cure Forward is to encourage patients to learn as much as possible about their treatment options, and to play an active role in helping them learn about, and access, precision medicine options. Being diagnosed with breast cancer is very scary. But don’t let your fear compromise your ability to take action. Listen very carefully and immediately write down everything your doctor tells you, you won’t remember it later on, trust me. Take a lot of notes and keep them in a notebook that will fit in your pocketbook so that you can bring it with you. In addition, keep copies of all your procedures and pathology reports in that notebook because you’ll refer to them many times over the next year as you’re on-boarding every new doctor you wind up seeing. In this day and age, it’s unrealistic to expect your doctors to remember all the details of your treatments, and you’ll need to be your own healthcare advocate, so keeping all this information in one place will prove to be very helpful. Ask a lot of questions. If anything is unclear (and much of it will be unclear) ask your doctor to explain the details to you over and over until you understand. That’s part of their job, to explain the details to you in laymans terms and if you’re not comfortable asking them, or feel you’re not getting enough information in an accessible manner, find another doctor. Bring someone with you to help keep you calm and occupied during the waiting. I found that when I brought someone to an appointment with me, they would often remember very different details than those that I focused on. At the appointment where I was first diagnosed, my husband, the finance guy, came with me. Throughout the entire discussion with my breast surgeon, he was taking notes and at the end of her explanation, he held up his paper to show me a little grid of dates that he had jotted down. His chart showed that if all went as the doctor expected, we’d be done with all the treatments before the end of the summer. It was very reassuring to see it in writing on a piece of paper and kept me focused on the fact that there was an end in sight. I was very lucky that my hospital had a dedicated breast care coordinator resource. I was given her name by my radiologist and was able to meet with her within a day after my lump was found. She was immensely helpful with a great personality and straightforward approach. 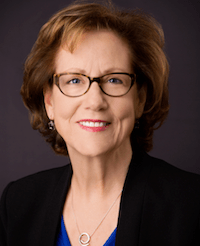 If your hospital has a breast cancer coordinator, get to know her! Mine immediately recognized that I was the kind of person who likes to read and do research, and when I left her office I was loaded down with books, pamphlets and names of websites to research information for myself. My hospital breast cancer coordinator also told me about the Oncotype DX test which helps women with early stage Estrogen Positive invasive breast cancer determine their treatment options. The test looks at 21 genes from the breast cancer tumor and uses those markers to determine if the patient will benefit from chemotherapy, as well as the likelihood of distant recurrence (or metastatic cancer). Because my tumor was small and early stage, my surgeon thought that I might not even need chemotherapy. After my Oncotype DX test, the results showed that I actually had a very aggressive tumor with a chance of recurrence which indicated that I would benefit greatly from chemotherapy. Of course, I wasn’t happy about having to have chemo, but the fact that the test was done on my specific tumor, using my own genetic markers at least validated the decision. My hospital breast care coordinator also helped connect me with the hospitals BRCA genetic testing team. No one in my immediate family had breast cancer but I have 2 older sisters and a daughter and was worried that perhaps we had a familial genetic predisposition to breast cancer which would have meant that they were also at risk. The simple and painless BRCA test came back negative, with no evidence of a genetic predisposition which is still reassuring to me now, 6 years later. For me the best way to manage my fears during this time was to gather information and research all my options. Knowledge is power for me, and the more I know, the better decisions I can make. So I would encourage my pre-breast cancer self to learn as much as I can through reading, researching and talking in detail with my health care team. One of my favorite sites for information was and continues to be, breastcancer.org. Find the best medical team you can and if possible, try to find a treatment center that is relatively close to your home. If, like me, you’re going to have multiple surgeries, chemotherapy and reconstruction, you’ll heal better if you’re able to recuperate in your own home after treatments and procedures. Keep positive. Yes, I know it sounds pollyana-ish and you may not feel upbeat much of the time, but try not to dwell on the negative. You need to focus your energy on healing and getting through this. Cancer is a roller coaster ride, so learn to trust that if there is a dip there will eventually be a rebound. Find the right people to become your rocks, the people you trust to listen to anything you have to share. I realized pretty early on that if I couldn’t talk about my fears to someone other than my husband and kids, I wouldn’t be able to handle the panic and fear that I was experiencing. So I found a core group of friends who I could let it all out with. They were the ones I would call when I was really scared; the ones I could call up and say, “I don’t know if I can handle this,” on those very bad days. I chose these 3 because I knew that they would always be supportive, would listen and then would gently but firmly say, “Of course you can, it’s going to be really horrible, but you’re going to get through it,” and would make me laugh, after letting me cry my fears out. I hope that this information will help anyone else who is going through the experience of a breast cancer diagnosis. The picture at the top of this post is one of the many beautiful walking paths I’ve recently found. Walking has become my emotional and spiritual release over the past few months and I hope you too, find your own path to health and peace of mind. Claudia Schmidt, a working mom with two teens, writes a blog about life after her breast cancer experience in February of 2010. You can follow her at My Left Breast. Claudia’s work has been featured on BlogHer, BA50 and Midlife Boulevard. She lives in bucolic Clinton, New Jersey with her husband, two teens, and a menagerie of pets. Follow her on Twitter @claudoo, Facebook or Pinterest. Hello world!Girls With Guts Turns Niagara Falls Purple!